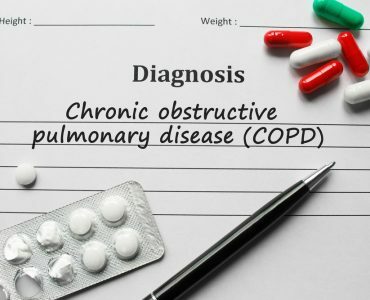 COPD stands for chronic obstructive pulmonary disease and is a condition that affects the lungs and airways. Chronic means that it will last for the rest of a patient’s life, the word pulmonary refers to the lungs and airways and it is obstructive because it limits the flow of air into and out of the lungs. Although it usually gets worse over time, it is possible to learn how to manage it. 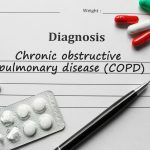 In this article we will look more closely at what causes COPD, the symptoms of the condition and some of the treatments available to treat a COPD cough. COPD is usually caused by long term exposure to lung irritants that damage the airways and the lungs. In the United States the most common irritant is cigarette smoke. Cigar, pipe and other types of tobacco smoke can also cause the disease especially if it is inhaled. 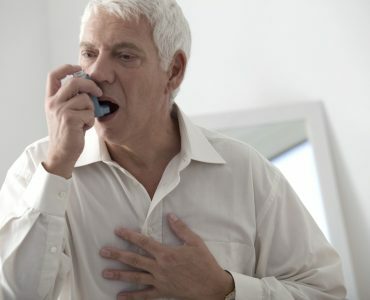 Common symptoms of COPD include increasing breathlessness, sometimes just occurring when exercising at first and also causing patients to wake up at night feeling breathless. 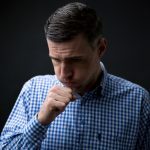 Another symptom is a persistent chesty cough with phlegm that won’t go away, frequent chest infections and persistent wheezing. Other less common symptoms include tiredness, weight loss, chest pain and coughing up blood and swollen ankles from a build up of fluid. 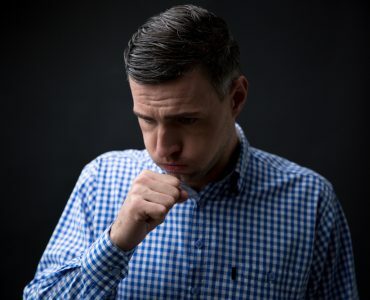 It’s important to be checked out by a doctor as soon as possible as there are other conditions that have the same symptoms including asthma, anaemia and bronchiectasis. There are several different types of medications that doctors prescribe to treat the symptoms of COPD, some of which are new COPD medication. These will either be taken on a regular basis and others in an ad hoc way. 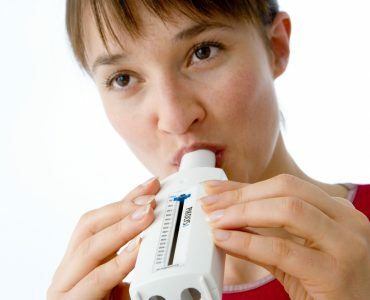 Bronchodilators usually come in an inhaler so used as a COPD treatment inhaler. They relax the muscles around the airways and can help relieve coughing and shortness of breath, making breathing easier. 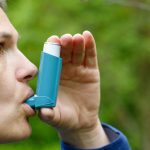 Depending on the severity of the disease, patients may need a short-acting bronchodilator before undertaking activities, as well as a long-acting bronchodilator for use every day, or both. 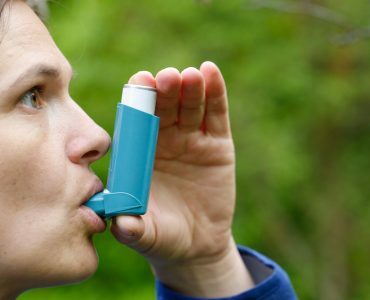 Inhaled corticosteroid medications are designed to reduce airway inflammation and are useful for people with frequent flare ups of COPD, whilst oral steroids are generally prescribed for those who have a moderate or severe acute flare up for around five days to prevent it worsening. 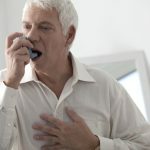 A new type of medication that has been approved for people with severe COPD and symptoms of chronic bronchitis is roflumilast, which is a phosphodiesterase-4 inhibitor and decreases airway inflammation. Doctors often use oxygen therapy for patients who have moderate or severe COPD and there are different devices to help deliver oxygen to the lungs, including portable units that can be taken out and about for everyday use. Some people only use oxygen during activities or whilst asleep – it can improve the quality of life and is the only COPD therapy that has been proven to extend life. Another treatment for COPD is a pulmonary rehabilitation program, combining exercise training, nutrition advice, counselling and education. It may shorten time spent in hospital and increase people’s ability to participate in everyday activities. There are many options for new COPD medication and there are many more that have not been mentioned. Always consult a doctor or physician and ask them to explain in more depth what a particular medicine will do.